Now that July is here (yay!) 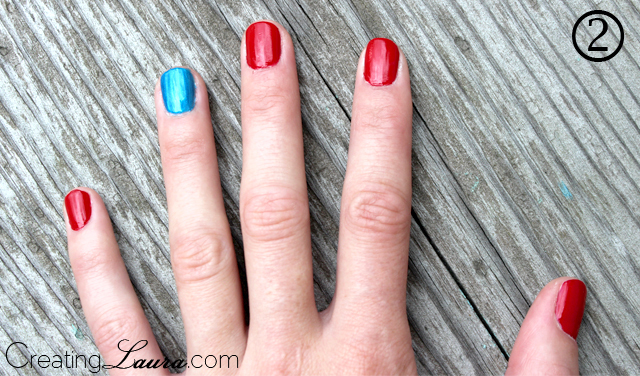 I had some fun with nail polish and came up with a patriotic nail art idea to share with you. 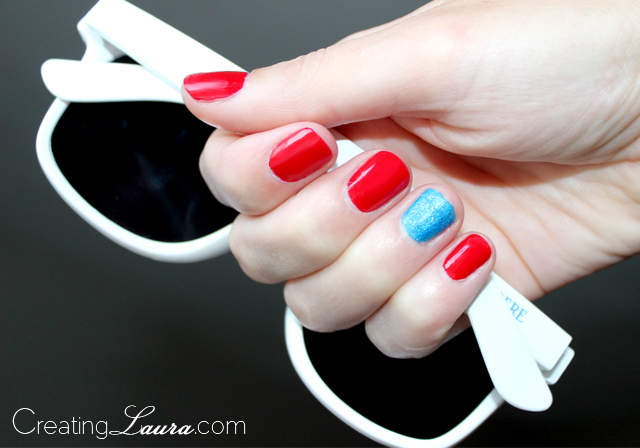 To pull off this look, all you'll need is red nail polish, blue nail polish, and white glitter. 1. 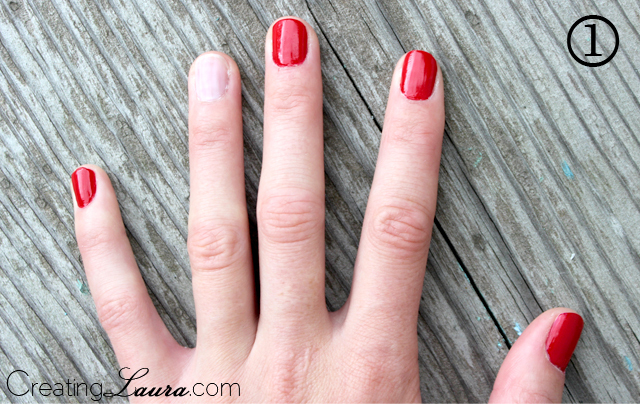 Paint all of your nails red except for your ring fingers. 2. Paint the nails on your ring fingers blue. 3. While the blue paint is still wet, sprinkle lots of white glitter on top of it. Definitely do this outside or over a sink or trash can because the glitter has potential to get super messy super quickly. This Independence Day is going to be all about glitter for me. 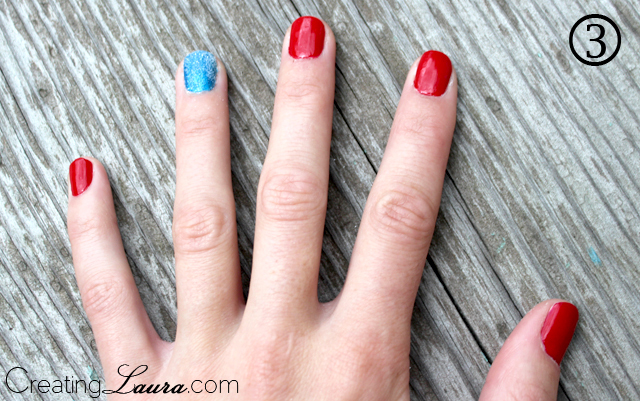 I did this to my nails and then came up with a glittery game to play on the big day as well... I'll tell you all about it soon! How are you preparing for the 4th? Super cute! Definitely trying this out!